For over a decade, Key West Eco Kayak Tours has provided a high level of courteous personal service. 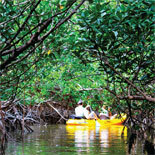 Let an experienced guide lead you into the mangrove forest and flats of the coastal backcountry. 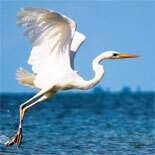 Hear fascinating insights into the history, flora and fauna of the Florida Keys. Open to outdoor enthusiasts of all skill levels, these small group tours include complimentary shuttle service and a variety of routes into remote locations. The eco-friendly Backcountry Kayak adventure begins with a complimentary pickup and drop off service at your hotel or guest house. 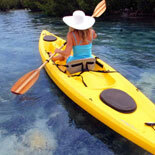 You will be transported to Geiger Key where you will receive instructions on how to maneuver your kayak. You can select either a single or a tandem kayak. The high-quality ergonomic equipment has seats with good back support. The tour also includes bottled water, fruit and dry bags for your cameras and smartphones. Led by guides who are exceptionally knowledgeable about the Florida Keys and its ecosystem, Key West Eco Kayak Tours Tours are limited to seven kayaks to ensure optimum personalized customer service as we encourage conservation efforts and share our passion for the spectacular local environment. Tandem kayaks are available. If your traveling companion wants to do stand up paddleboard -you can mix and match for an amazing adventure on the water. The 2 hour tour will take one of several routes depending upon the tide and weather conditions in an effort to provide the best possible chance for viewing dramatic scenery and awe-inspiring wildlife. 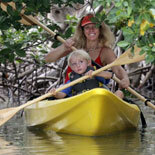 You will paddle or just flow with the current through mangrove forests and tidal flats. The guide will relay fun and informative information about the local flora and fauna as well as the history of the local area. This noise pollution-free excursion provides plenty of opportunity to view dolphins, rays, sea turtles, schools of fish and a variety of aquatic birds without interfering with their normal routines. Get your eTicket today for a Key West Eco Kayak Tours to explore the stunning wilderness of the Florida Keys backcountry and connect with nature in this experience of a lifetime. Daily. See calendar for times and dates available. Closed Christmas Day. All ages welcome. 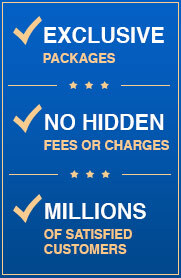 12 and under for child pricing. Single or Double Kayaks available. Please confirm if you are interested in the Double Kayak prior to tour date. 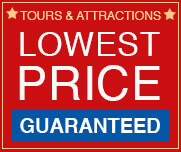 If you are not in Key West, don't want to take the shuttle, or want to meet us at the marina that is not a problem.